24" 24" x 30" 30" 30" x 48" 30" x 60" 30" x 72"
Rural countryside meets urban city styling with this Lancaster Table & Seating 24" square antique walnut solid wood live edge dining height table. Coming with an attractive table top and compatible dining height base, this set provides you with everything you need to set up and complete the look of your dining area. 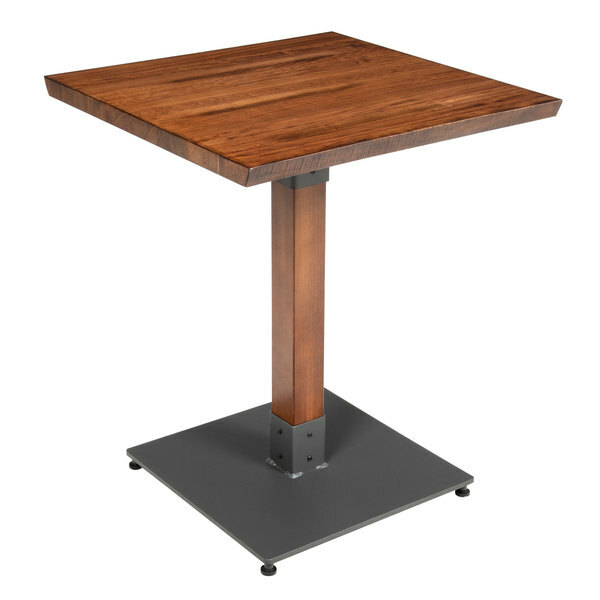 It's sure to add a rustic element with contemporary flair to your restaurant or bistro!